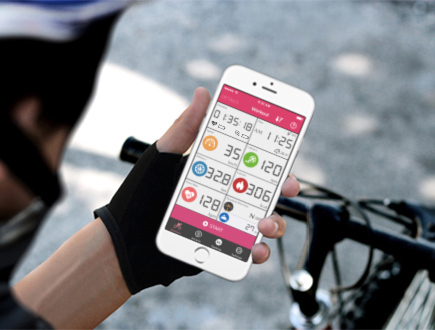 Track your activity with GPS and record all of your cycling data with many compatible sensors. This application is the best for all cyclists and it has a beautiful interface and many features is easy to use. – Track bike tours via GPS and Bluetooth Smart sensors. – Display your workout details: Distance, duration, speed, cadence, elevation, heart rate, calories burned, etc. – Graphical charts: current speed, heart rate, cadence, elevation and distance. – Display your current location on Map. – Display Wind, Weather Condition and Weather Forecasts during workouts. – Record your workout stats: Distance, duration, speed, cadence, elevation gain, heart rate, calories burned, etc. – View bar charts summarizing all your workouts. – Export your workouts to STRAVA. – Share your workouts with iOS Health app. – Customize workout screens to display the information that is important to your workout. Even more great features are coming soon.